Everyone has at least some flaws with their teeth. A tooth may have a small chip. Your teeth may have some minor alignment issues. A tooth or two may be a bit misshapen. You could have had a reaction to tetracycline as a kid and now your teeth are stained. Whatever the flaws, correcting them with orthodontics or crowns could involve extensive procedures Instead, Dr. Edward Walk of Newton, MA can place porcelain veneers to cosmetically improve the flaws with your teeth and give you a beautiful smile. Porcelain veneers are thin shells made of dental porcelain that are placed onto the fronts of your natural teeth. They provide an aesthetic solution to various tooth imperfections, and can change tooth size, color, and shape. At Cosmetic Dentistry Center, we use only porcelain veneers because of their natural resemblance to tooth enamel and for their durability. It is important to remember two things with porcelain veneers. First, they are only a cosmetic treatment, and they need to be applied onto healthy teeth. If a tooth has decay or there is surrounding gum disease, these problems need to be rectified prior to the patient being able to have veneers applied. Second, they are a lifetime commitment. To place a veneer on a tooth, the doctor will remove some of the tooth’s natural enamel to make room for it. Because of this, once your veneers reach their life expectancy, it will be necessary to get a new set of veneers. The tooth is unprotected without a veneer (or crown) covering the area we removed the enamel. Otherwise, if your teeth are healthy and fully-grown, just about anyone could benefit from the cosmetic beauty of veneers. Plus, porcelain absorbs and reflects light in a very similar fashion to natural enamel. 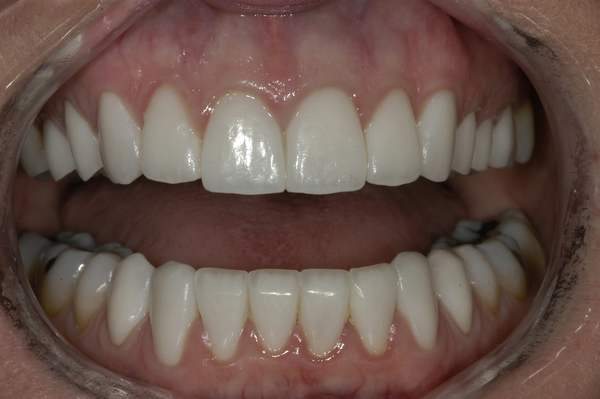 Notice the gingival architecture framing the beautiful new veneers. 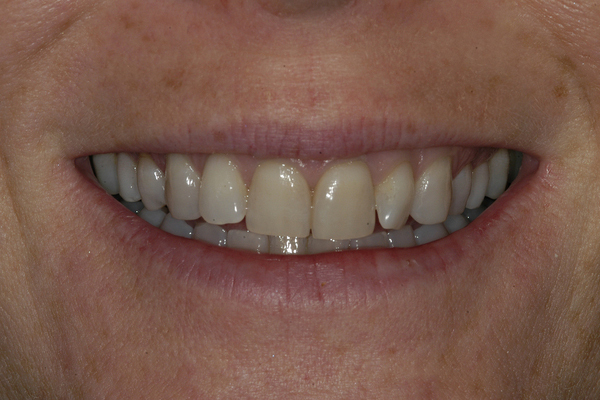 Click to view more dental veneers before and after photos. Porcelain veneers are often used to fill spaces that are much larger than those typically filled with composite veneers. Composite veneers are typically made and place in one single appointment, whereas porcelain veneers require two visits to install. When it comes to repairing damaged veneers, composite is easily reparable, whereas porcelain cannot be repaired and requires a new veneer. However, porcelain is far more durable and longer-lasting than composite, and require less regular maintenance when taken care of properly. Composite veneers are more affordable than porcelain veneers, but are far more easily stained and damaged. When deciding between porcelain and composite, it is best to weigh your options depending on what your goals are. Getting porcelain veneers at Cosmetic Dentistry Center requires two appointments. During the first appointment, we prepare your teeth. We begin with a thorough cleaning — possibly even teeth whitening — to get your teeth to their natural color. Once the teeth are clean, we use a shade guide to choose the porcelain color that precisely matches your natural color. Now, Dr. Walk prepares each tooth to receive its veneer. To do this, he shaves a tiny amount of the enamel from the front of the teeth (from 0.3 mm to 0.5 mm). This is necessary to make room for the veneer on the front side of each tooth. Once this is complete, we take impressions of your teeth and send these off to the dental lab to use to create your custom veneers. Fabrication usually takes a week or two, and we place temporary veneers on your teeth to protect them during this period. When your veneers arrive at our office, you return for your second appointment. Dr. Walk checks the fit and color match of each of them. He may need to shave a bit off here or there. Once we’re satisfied with the fit and the look, we’ll permanently cement the veneers onto your teeth, and you’re good to go. Can You Eat With Dental Veneers? Porcelain veneers don’t require any special cleaning or maintenance at home, just regular brushing and flossing. You can eat a normal diet with them, but it’s wise to avoid overly sticky foods such as caramel or taffy, and to avoid chewing on bones. Although veneers are very durable, they can detach. 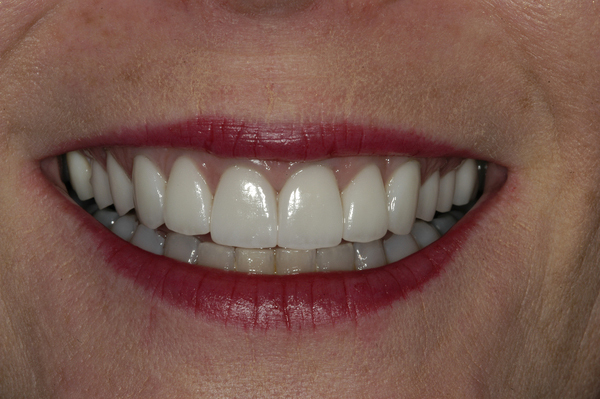 A set of porcelain veneers can last anywhere from seven to 20 years. This sounds like a wide range, but their duration depends on the health of the underlying teeth and gums. If a veneer does come off for some reason, in most cases the doctor can reattach it. As we mentioned above, porcelain veneers are a lifetime commitment. Because the placement requires shaving the enamel off the fronts of the teeth, those teeth will forevermore need to be covered with veneers. 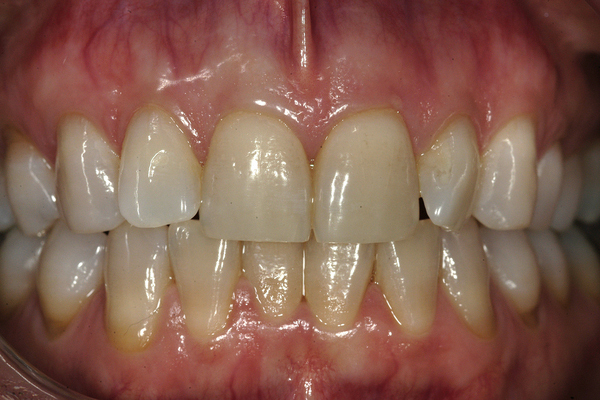 So, once your veneers have reached their lifespan, you’ll need to have another set placed. Porcelain veneers do not last forever, but you can make the best of them for the duration of their lifespan. While normal wear and tear will wear down on the veneers, there are a few ways to ensure they stay in top condition. These tips are great ways to keep those porcelain veneers looking new and shiny for seven to twenty years. The enamel of porcelain veneers is not as porous as natural teeth. This means that the veneers have a high resistance to staining. However, that does not mean that they are not susceptible to staining entirely. For this reason, we suggest using a bleaching toothpaste to ensure that those veneers stay bright and shiny. However, due to the stain resistance, feel free to treat yourself to red wine, coffee, and raspberries relatively worry-free! To learn more about porcelain veneers, contact Dr. Walk and Dr. Bamel today at 617-965-7673 to schedule an appointment.